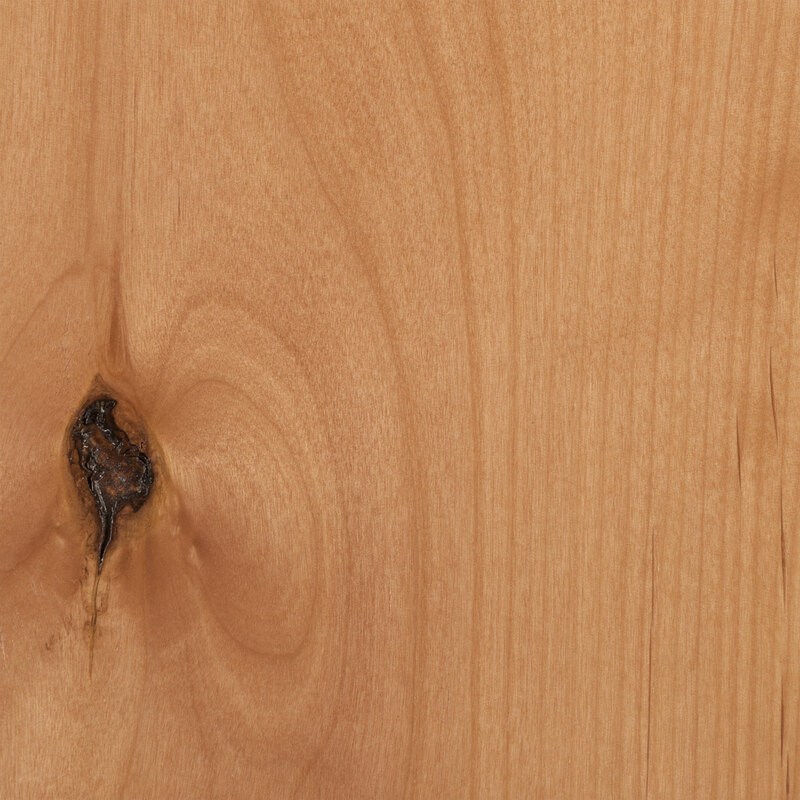 Qualities: Knotty Alder is moderately light and ranges in color from white to tan and can have a pinkish-brown tinge. Knotty Alder has a rugged, knotty appearance. Knots vary in size and distribution – from tight, closed knots to split, open knots.